The guns are incredibly intuitive and very accurate. You’ll get all the combat gear and have 4 different weapons to choose from. You can play in teams and as individuals, your Marshall will cover the basic training before setting your missions. Perfect for Hen Parties in the New Forest. You’ll need a minimum of 8 ladies to play and we will always aim to have 20 gamers on the Battlefield. You’ll get cammo gear, but you’ll need something comfortable for underneath and sturdy footwear to play. 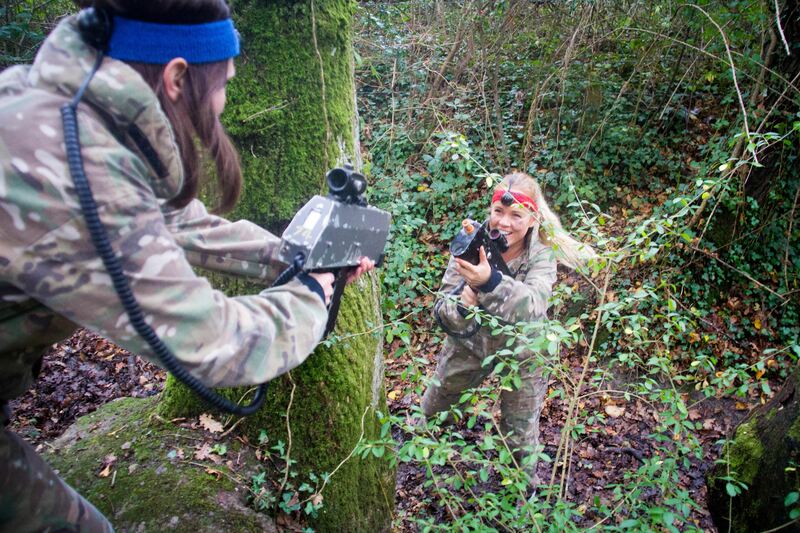 Choose from Urban and woodland Battlefields or combine with other activities for a full day of adventure. We can also help organise your whole ‘do’ visit our sister company New Forest Activities for more info!